Vantaggio HR is a human resource-consulting firm that works with companies of all sizes across all industries. They manage the HR function on a fully outsourced or a project basis by offering on-site HR services, payroll administration and systems consulting, resolution of workplace complaints, multi-state employee handbooks, and compliance and operational audits. When Vantaggio HR wanted to clearly communicate what their company was about. Its clients and prospects did not fully grasp all of the services it could provide or did not understand the depth and breath of challenges it could help mitigate. Clarified Vantaggio HR’s position statement. Armed its business developers (rainmakers) to be more effective. Turned a prospective client’s interest in a $3,000 audit, into a $50,000 per year contract to handle all of the client’s HR needs on an outsourced basis. Trice is a construction company built on a family legacy of a half-century in concrete construction. Trice has incorporated the defining values used for decades with added safety and sustainability to create a resilient, multi-dimensional concrete construction corporation. They use this approach to serve general contractors, infrastructure contractors and public sector organizations, with specific expertise in the utility and energy industries. Trice needed a new business infrastructure that would facilitate adequate growth and address their core business and expertise. It needed to reestablish its goals and regain control over its goals, cost and financial returns. ILOG, Inc. helps its customers operate more effectively, improve return on application investments, and increase operational efficiencies. They do this by selling, marketing and deploying business rule, optimization and visualization software with associated professional services. ILog needed to scale the business by 25%, year-over-year, even in a soft economy. They also needed to increase the productivity of the average account manager, increase sales management effectiveness, gain early visibility into forecasted opportunities and develop sales ready messaging that would be used during the entire sales process. Created auditable sales process milestones that enabled management to more accurately forecast the business at the opportunity level. Created a training program for Sales, Pre-Sales, Marketing & Professional Services staff. Reduced discounting due to better understanding of value to prospect. Increased average revenue per customer. Created a common language used by everyone inside ILOG to articulate product attributes and customer uses. Improved visibility into sales pipeline earlier in sales cycle due to higher level contacts and auditable sales process milestones. 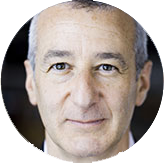 Connamara is an architect and builder of online marketplaces and solutions for market participants. Since 1998, established exchanges, new marketplaces, brokerages, fund managers, and traders have turned to Connamara for its expertise and innovation in matching engines, risk monitoring, execution management, market data and order routing connectivity. Connamara had difficulty clearly stating what their company was about. Its clients and prospects did not fully grasp all of the services it could provide or did not understand the depth and breath of challenges it could help mitigate. The company needed to proactively drive its business or was yet unclear as to where and how it wanted to grow. Bishop-Wisecarver is a family-owned group of companies that delivers linear and rotary motion solutions, engineering services, and specialty contract manufacturing under three solution groups: Bishop-Wisecarver Corporation, Black Diamond Manufacturing, and WRW Engineering. BWG needed consistent messages about the company, sales tools or best behaviors to avoid selling just on price, and a repeatable and consistent sales engagement model. They also needed key performance indicators to effectively manage the sales force, and a more passive selling model. Founded in 2000, privately-held Arena Solutions provides on-demand Product Lifecycle Management (PLM) software. The application allows companies of any size to implement Product Life Cycle Management best practices with very low risk and the hassle of deploying and managing client-server hardware. Arena PLM provides a centralized environment for managing product data, making it easy for OEMs, suppliers and outsourced partners to collaborate in real-time around a single set of information—regardless of geographic location or IT infrastructure. Arena Solutions wanted to qualify early in the sales cycle to avoid lengthy and costly sales engagements ending in prospect doing nothing. They also needed to shorten the time it took for new reps to build a qualified pipeline, increase the number of reps meeting and exceeding revenue quota, and gain access to key decision makers faster. Implemented a customized CustomerCentric Selling® workshop that aligned the entire sales force and sales activities along a common vocabulary, a common client engagement roadmap,discipline, and implement selling best practices. Refined its pipeline grading system and its sales engagement process. Developed a customized toolkit used for the sales training as well as by the sales force immediately after the training was completed. 33% of sales representatives made quota in Q4 2004, the first quarter of implementation. As a strategic resource for talent management, 24 Seven helps high-visibility and luxury brands identify, recruit, and secure game-changing talent. Its innovative approach combines global reach, industry expertise, and market intelligence to deliver top performers that advance the unique business goals of its clients. 24 Seven needed to accelerate its sales engine through a more focused, disciplined approach to strategic account management. Headquartered in the Silicon Valley, this global company provides enterprise software that assists companies in achieving service-oriented architecture and business process management. This company wanted to significantly increase its revenue to maintain its 30%+ revenue growth from previous years, better align it’s public valuation with other benchmarks, change product-centric selling approaches to more customer-focused behaviors, and bring sales best practices to a global scale. Roundstone Systems, founded in 2003 and based in Alameda, CA help clients “connect the dots” between their business issues and the technologies that can help them solve these challenges. Roundstone Systems has built business solutions company delivering information technology from a business perspective. Roundstone System’s primary goal was to meet revenue targets along with increasing year over year sales. With a mix of junior and more senior sales executives, Roundstone Systems was in need of a disciplined and standardized selling engagement roadmap. Pronto Networks, based in Pleasanton, CA with offices globally is an award winning firm that is funded by BV Capital, Draper Fisher Jurvetson and the Intel Communications Fund. Pronto Networks helps network operators, cities and local governments deploy and manage metropolitan-wide networks. Using Pronto applications, clients can provision, configure, authenticate, control access, secure, and process prepaid and postpaid billing and roaming settlement for large public WLAN networks. R. Torre and Company, trading as Torani, is a family-owned San Francisco, California based company. It’s core product is providing The Original Italian Flavoring Syrups and specialty beverages and service to the distributor and operator community in Foodservice, Retail and International channels. Torani’s goals were to build more face time with both the distributor and owner/operator to increase the value of each opportunity, create a common sales vocabulary, build selling competencies, and improve the skills of the sales force. Left Brain, Right Brain Productions, LLC is a full-service video production company driven to enact positive social change. From documentaries to web videos to TV advertising, it’s full service production with a purpose. Left Brain, Right Brain Productions had an initial concept, which needed further refinement and exploration, especially as it related to driving revenue. Discussed and explored strategies that included how original idea fit within the scope of Left Brain, Right Brain’s current work. Evolved discussions from focusing on the original idea to a more comprehensive business and strategic planning for the company. Enhanced company’s ability to effectively market and sell products and services. L-3 Communications Infrared Products is the manufacturer of the Thermal-Eye and NIGHTDRIVER technology. The company’s products are high quality, uncooled infrared camera cores and finished products. These thermal imaging cameras and the core technology are used in firefighting, security applications, industrial machine vision and preventative maintenance applications, public safety/law enforcement and automotive applications. The primary goal of Russ Camacho and his management team was to improve corporate and channel sales performance through the implementation of a sales process that represented the best sales practices of L-3 Communications. Some challenges they faced in achieving this goal were that each reseller had their “own” sales processes, a lack of a consistent sales processes which made it difficult to prepare an accurate sales forecast, and the sales team often times were comfortable with the technical details of the product but not well versed in “selling” the cost benefits and value of the product. Improved 30 day forecast accuracy from 50 percent to 95 percent. Improved 60 day forecast accuracy from non-existent to 82 percent. Increased sales performance of the total channel to 140 percent of YTD quota by mid-year. Increased number of resellers who exceeded their YTD sales quotas from seven at the end of the first quarter to 15 by the end of the second quarter. Server Technology, is a privately owned company based in Reno, Nevada and helps companies reduce their downtime and improve data center power management by designing, manufacturing, and selling power distribution products.. Server Technology has over 60,000 customers around the world that rely on Server Technology’s cabinet power distribution units (cabinet PDUs, also called CDUs) and power management and measurement solutions. Server Technology’s primary goal was to ensure that the company met its $50 million revenue target. The team felt that there were a few obstacles to overcome to achieve its revenue goals, including, the lack of a disciplined sales engagement process and the inability to have diagnostic oriented sales conversations with prospects. Pronto Connections is a dedicated resource that helps companies in a number of different industries improve their revenue and customer satisfaction by acting as their internal customer service, order processing and lead generation department. Pronto Connections operates on a nationwide scale, answering over 3.5 million calls a year, 24 hours a day, in English and Spanish. Pronto Connections wanted to increase sales and diversify their lead-generating process by growing revenue by 20%/year for the next three years, grow strategic acquisitions, and bring all sales executives to generate $750K on new business per year. OpSource is an industry-leading software solutions company that provides on-demand services built on their own patent-pending OptiTech Service Engine, which supports rapid integration and deployment of SaaS offerings. They achieve this through the delivery of full managed services, 24x7x365 call center support, application management and more. OpSource wanted to ensure they had the company infrastructure in place to meet their aggressive client acquisition and revenue growth goals. Their goal was to align the entire sales force and activities to a more efficient and dependable process, implement a common client engagement roadmap and discipline, and execute best selling practices. OpenTV, based in San Francisco, California, is one of the world’s leading providers of technologies and services enabling the delivery of digital and richer interactive television experiences. It’s platform software has been deployed in over 60 million set-top-boxes in 96 countries and trades on the NASDAQ under the symbol OPTV. Doxim, headquarted in Markham, Ontario, Canada, helps financial service providers create, deliver and manage business-critical documents and content more efficiently and cost effectively. Doxim serves over 300 Credit Unions, Brokerages and Banks, both directly and via strategic Service Provider relationships across Canada and the United States. Formalized the sales process for the team to develop sales processes, roles, hand-offs, etc. Heighten the importance of consistent prospecting thru cold calling, referral selling, etc. Applied Biosystems is a technology leader and driving force in the changing dynamics of the life science marketplace. With an installed base of some 180,000 instrument systems in nearly 100 countries, the company is focused on the following markets: basic research, commercial research (pharmaceutical and biotechnology) and standardized testing, including forensic human identification, paternity testing and food testing. ABI and its Proteomics and Small Molecule (PSM) division key goals were to bring baseline sales training to the business development team to ensure the group would meet their revenue targets while differentiating themselves from the competition thru their sales process. Additionally, secondary objectives were to increase the sales of the China operations, align the sales team to a common sales engagement roadmap, properly diagnose the buyers current situation prior to prescribing any solution and the need for a flexible sales training program that could fit within existing training initatives. AgraQuest is an industry-pioneering company who assist their clients in the agricultural market with improving their pest control management through the discovery, development and marketing of effective and environmentally friendly natural products. AgraQuest’s primary goals were to improve revenue performance and predictability in their pipeline and forecast. They wanted to implement a companywide repeatable sales process that was auditable and would more effectively manage the sales force, as well as create more qualified leads through prospecting and qualification. Escend helps semiconductor and electronic component manufacturers gain global visibility into their design-win pipeline by providing demand management software that enables tracking and management of opportunities and design wins in one unified, global database. Escend recognized an opportunity to win a larger and more profitable target base of semiconductor and component manufacturers (versus sales rep firms. However, prior to working with KeyRoad, Escend had no bookings in the previous two years, a mixed positioning and sales messaging, and missed revenue targets and increased costs of sales with less than 10% accuracy in its pipeline. Headquartered in Canada, Adlib leads the industry in Enterprise Content Transformation, enabling the world’s largest organizations to improve the efficiency, quality and control of business processes with content to PDF transformation solutions to optimize productivity, mitigate risk and reduce costs. Adlib was concerned about a lack of consistency in selling, negatively impacting both its sales management and revenue. New hires weren’t initiated with a set on-boarding process, forecasting was inaccurate and Adlib hadn’t established a common selling language, making communication cumbersome and inefficient. Berner International is a privately owned company headquartered in New Castle, PA, who assists architects, engineers, contractors, developers, food service providers and building owners in saving energy and creating healthy, comfortable living environments. They do this through engineering, manufacturing and selling energy efficient and environmentally friendly air curtains, vinyl strip doors and patio heaters. Berner International wanted to increase their sales 200% by 2011 by shaking up their sales organization, implementing a more disciplined and focused approach to selling, and creating a sales management system to keep its activities in line with projected growth goals. Fortiva is a privately owned provider of on-demand email archiving solutions for legal discovery, regulatory compliance and email storage management. Utilizing industry-leading technology and expertise, Fortiva offers its customers well-rounded email archiving and Exchange storage solutions. Fortiva wanted to create a common selling language across the company with structure and process-driven focus. Fortiva wanted to streamline their messages and make them more customer-focused—and they also wanted to drive the sales process, instead of always responding to customer requests. AtStaff enables healthcare organizations to reduce costs, increase profitability, enhance staff recruitment and retention, and improve patient safety. AtStaff’s enterprise-wide staff scheduling, nurse scheduling and physician scheduling software systems serve more than 1,200 healthcare organizations, medical facilities, nursing departments and group practices. 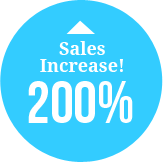 AtStaff wanted to increase the number of sales executives that could meet and exceed quota and shorten the sales cycle by two months. Quova, Inc. is a privately-held provider and developer of web geography services and technology for online enterprises. It’s flagship GeoPoint service, a geo-location service, is used by over 170+ customers to execute targeted marketing initiatives, prevent online fraud, ensure regulatory compliance, manage digital rights and enhance network security. Quova’s unique combination of patented, cutting-edge technology and expert human analysis provides unsurpassed data quality and global coverage. Quova’s primary goals and objectives were to increase revenue by 100%. Challenges to meet this goal included inconsistent performance by the sales team, a strong focus on selling products vs. solutions, a lack of identification by the sales team of prospects vision and purpose of a solution and a long sales cycle (over 8 months). Case Studies: Click on logo to view case study.